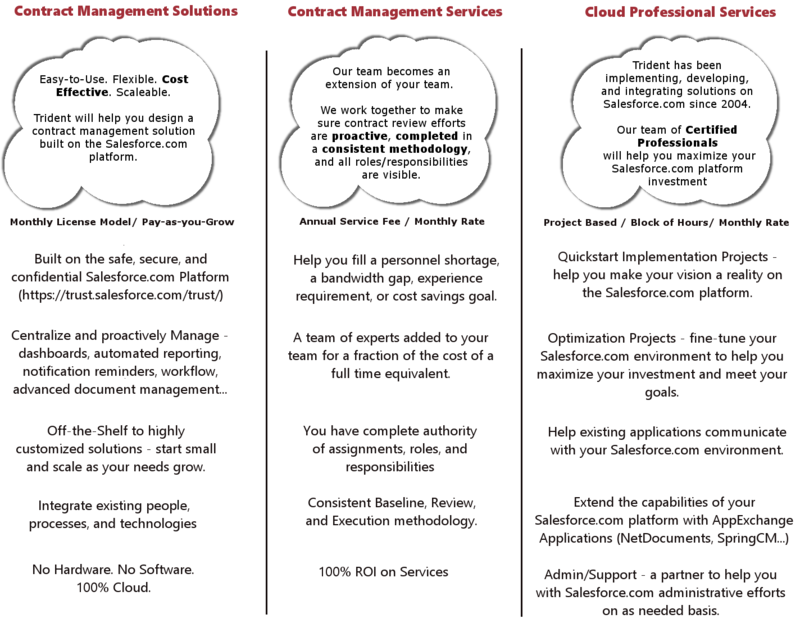 We have created a process for contract management that delivers results. Our approach, described in our process visual below, is focused on being your valuable resource and sounding board for key decisions you face. We Create a Plan with You. Getting started is easy! With Trident, it doesn't take a lot of time to produce an immediate impact. We understand you have other projects, resources constraints, and tight budgets. Within a few meetings, you will be on your way to achieving your goals. In preparation for the IT contract and renewal management assessment, we provide a client a consideration checklist and onboarding process to get everything off to the right start. Incremental Gains Result in BIG Benefits! We believe proactive vendor, contract and asset management is not an event. It is a series of continuous improvement and incremental gains. 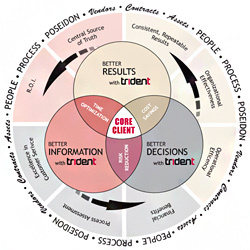 Trident's onboarding process is designed to deliver short-term results and long-term benefits. Contact us to discuss how we can help you protect your business and improve your bottom line. ©2012 Trident Contract Management. All rights reserved. Web design by Stellar Blue Web Design.